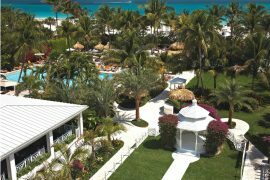 Whether they are five-star hotels or no-tell motels, most of the 4.8 million guest rooms in the United States have something in common – they all have four walls. Your basic box. 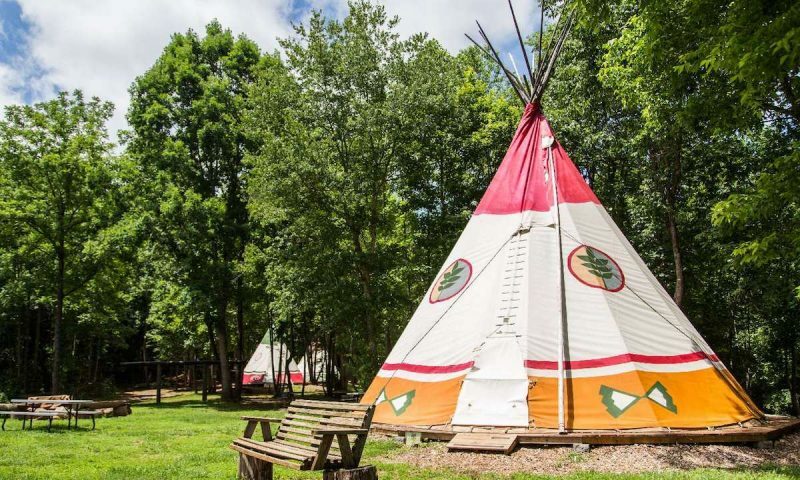 Here are several properties where you can stay that take you far outside that box, including covered wagons, lighthouses, teepees and even a giant beagle. 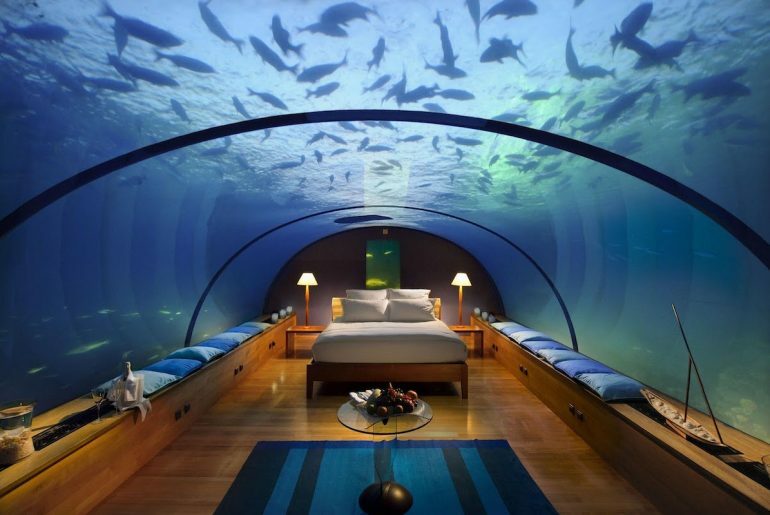 So when you’re ready to think outside the box when it comes to accommodations, check these most unusual hotels. Check dates and availability of all properties at Booking.com. For a glimpse at how the Cherokee Indians lived, stay in a teepee in Lula, Georgia, about an hour north of Atlanta. North Georgia Canopy Tours has seven teepees named after the seven clans of the Cherokees. These teepees have features those Native-Americans never saw, including HVAC, lighting and electrical outlets. Linens are provided, and you can order breakfast for an additional fee. If you’ve been to the Magic Kingdom, you’ve walked through the Swiss Family Robinson’s treehouse. Well, this is even better because you can actually stay here. 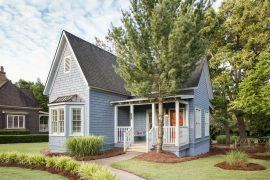 This three-room antiques-filled treehouse is right near Bobby Jones Golf Course in Buckhead, but nestled in the woods so you’ll feel like you’ve really gotten away. You can walk to several restaurants and the Food Truck Park. Yes, you can be like the Little Mermaid and actually stay under the sea at Jules Undersea Lodge in Key Largo Undersea Park in Key Largo, Florida. It’s the world’s only underwater hotel. You can get SCUBA diving training here, which you need to visit because you have to dive down 21” just to enter the lodge. Relive the glory days of travel by train when you stay at the Chattanooga Choo-Choo Hotel in Chattanooga, Tennessee. 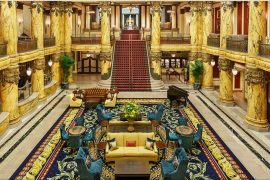 You can stay in one of 48 Victorian train car hotel rooms in Terminal Station, which was saved from the wrecking ball by local businessmen who turned it into the popular hotel. It’s may be a bit touristy, but it’s so great they saved a beautiful train station. 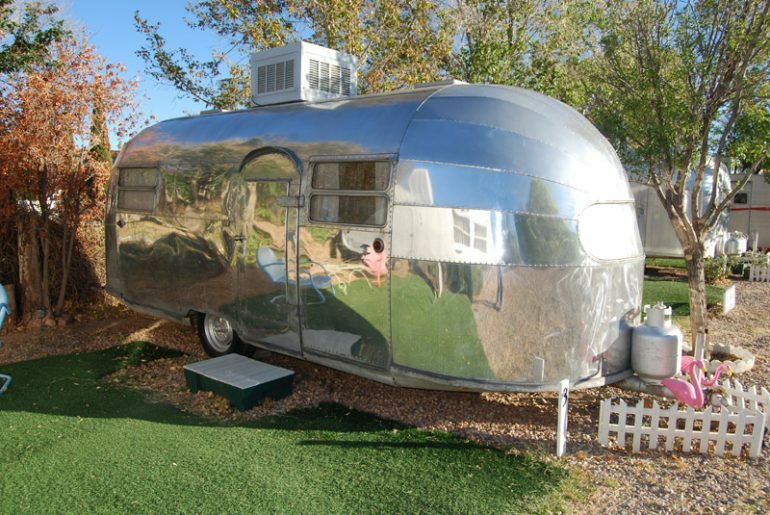 Airstream trailers are back in vogue. Now you can stay in a vintage Airstream or one of nine other travel trailers from the 1940s and 1950s at The Shady Dell in Bisbee, Arizona. The Shady Dell opened in 1927 as a stop on Highway 80, which runs from Savannah, Georgia to San Diego, California. Trailers comes equipped with small fridge, linens, towels, dishes and a percolator with coffee. Guests can actually operate the lighthouse when they stay at the Rose Island Lighthouse on an 18-acre island near Newport, Rhode Island. 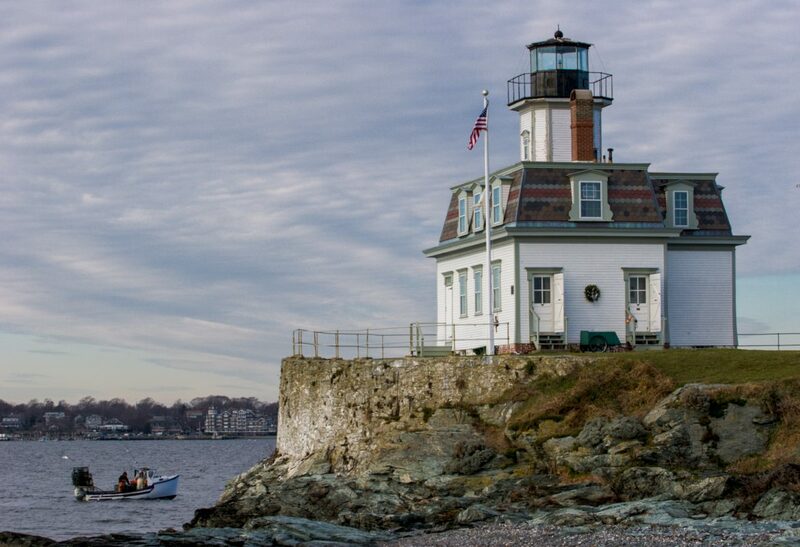 The lighthouse, built in 1869, is still a working lighthouse. Overnights guests have two options. You can stay in the bedrooms of the 1912 lighthouse museum, listed on the National Register of Historic Places, after it closes for the evening. You just have to remake your bed by 10 AM when it opens the next day. Or you can stay as a keeper for a week or a night, but you’ll be put to work with chores and record keeping starting at 7:30 AM. 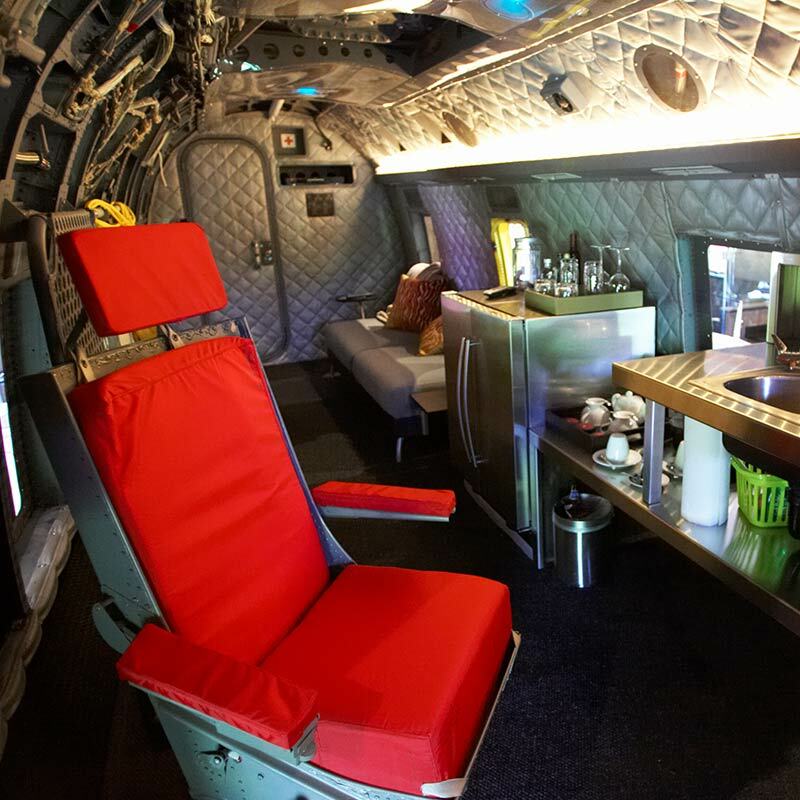 This 1968 Sikorsky Sea King helicopter at Winvian Farm used to carry members of the Coast Guard and now hosts guests in its cockpit where you can watch a movie, hang out by the wood-burning stove or seat yourself in the pilot and co-pilots seats to live out your own high-flying fantasy. 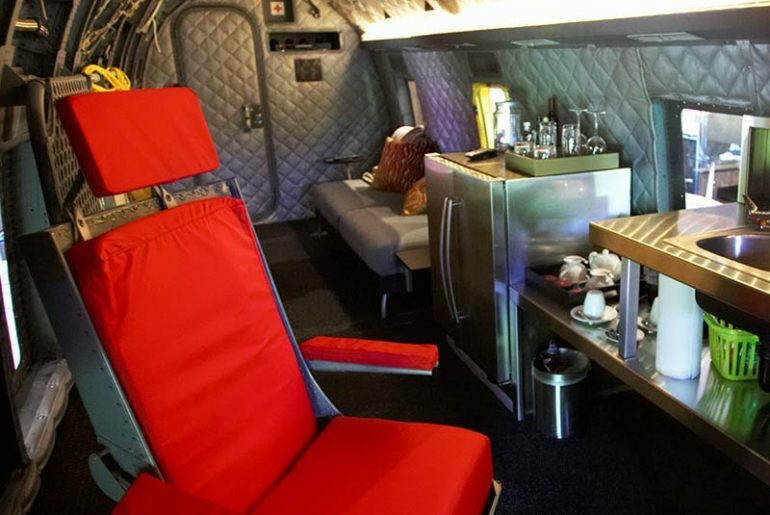 The 890-square-foot helicopter is housed inside a cottage as is the king-sized bed for when you retire for the evening. 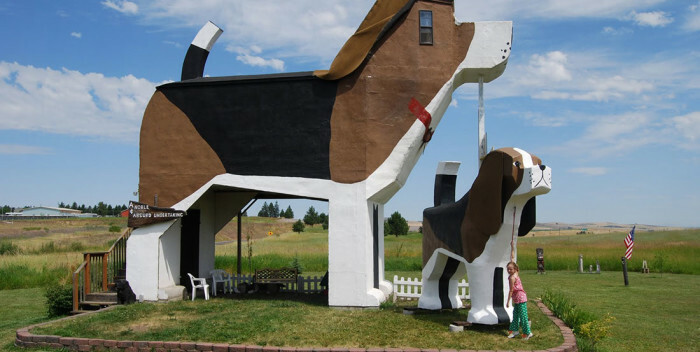 If you’re goin’ to the dogs in Cottonwood, Idaho, you’d be staying inside the world’s largest beagle. Chainsaw artists Frances Conklin and Dennis Sullivan starting carving wooden dogs years ago, with the beagle being the first breed as they considered it the most politically correct. You never ready anything bad about the beagle hurting anyone. With the money they earned, they carved Sweet Willy, a 30-foot dog that is also the bed and breakfast that sleeps four at The Dog Park Bark Inn. Guests enter this unusual accommodation from a second-story private deck. It’s a cave 70’ below the surface, but with a gorgeous view of sunsets over La Plata River valley. 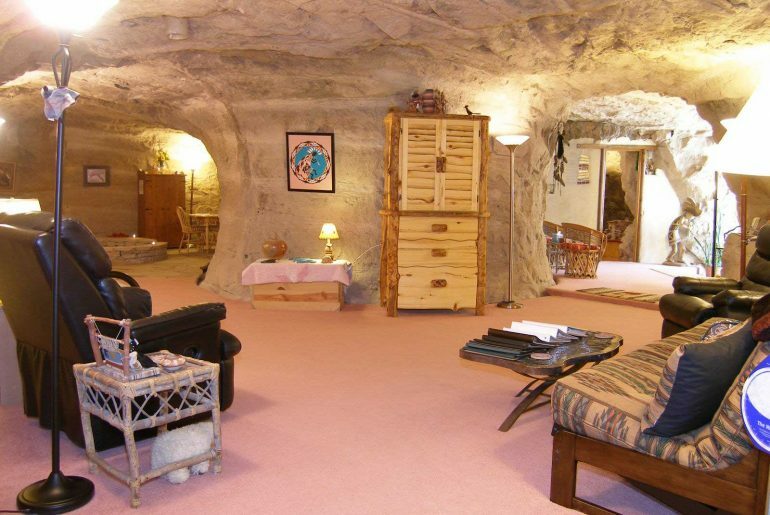 Kokopelli’s Cave is 1700 square feet and includes master bedroom, living room, dining area, full kitchen, two porches, bathroom with rock walls with a waterfall shower. 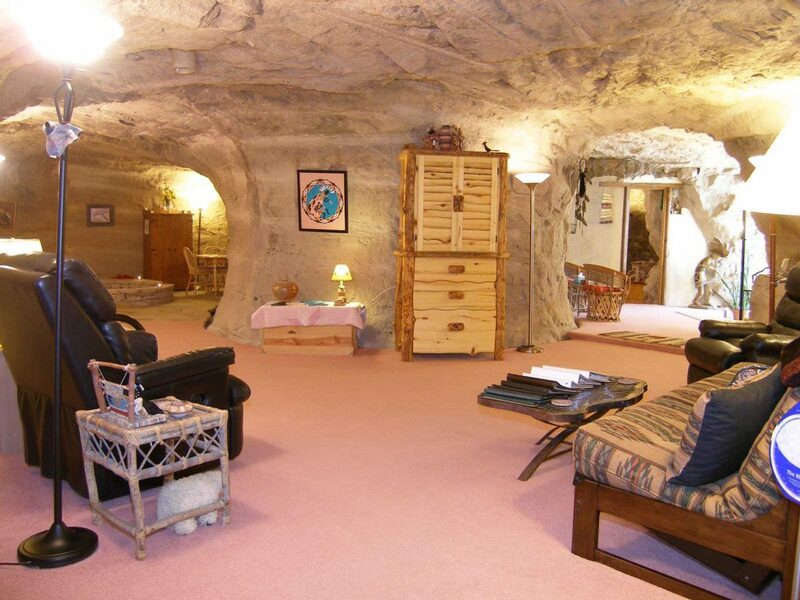 You won’t find a thermostat though – the cave stays between 68-73 degrees year round. Slumber like the pioneers when you stay in a covered wagon at The Rock Ranch. This 1500-acre cattle ranch, about 1 ½ hours south of Atlanta, has eight Conestoga wagons, the kind the 18th- and 19th-century pioneers used to cross the U.S.
Each wagon has four sets of bunk beds and comes with lanterns, firewood, picnic tables, port-a-potties and drinking water. For an additional fee, you can add on hot dog dinners at the campfire, a story teller or even an astronomer for an additional fee. 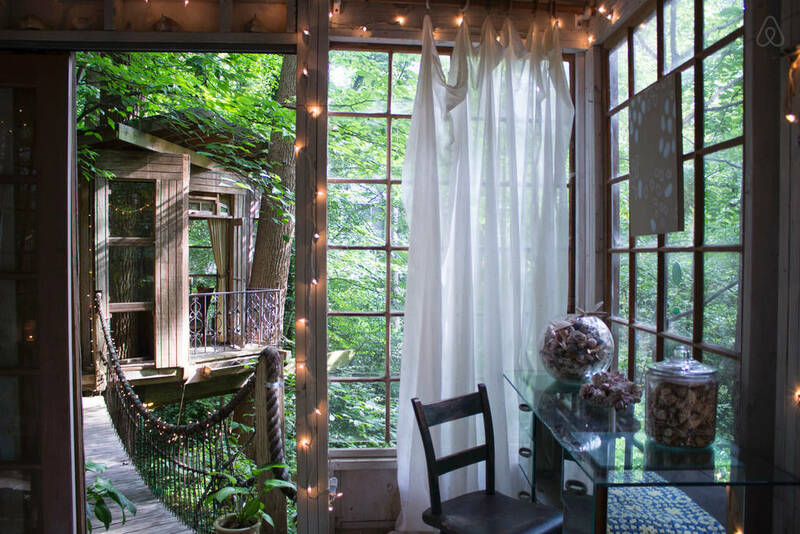 Go ride the world’s longest zipline at Historic Banning Mills, then stay up in the air when you settle in for the night in one of these cozy treehouses. 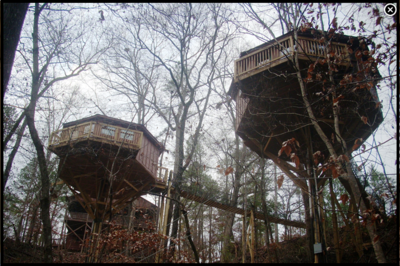 Each treehouse has a king bed, fireplace, bathroom and deck overlooking the Gorge. Rooms are accessed by a Sky Bridge, so if you’re scared of heights you may want to cross these off your list.